NeNe took to Instagram on Wednesday to announce Gregg is doing great. "This all started May 5th 2018... It's been a long emotional ride for our entire family! Listen up America... TODAY my husband @greggleakes has completed 6 months of chemotherapy!" NeNe, 51, captioned a series of videos that show Gregg celebrating with doctors and nurses. "Awesome job hunni! I'm so happy for you and the strength you showed during this difficult time in your life!" The reality TV star then acknowledged everyone who has supported them through Gregg's health crisis. "Thank you to all of our family, friends, fans, doctors and nurses who lifted us up in constant prayer, sent recipes, doctors info, gave advice and gifts! We love you. PSS: what a relief! We finally get to share with the world what we've been going thru," NeNe said. 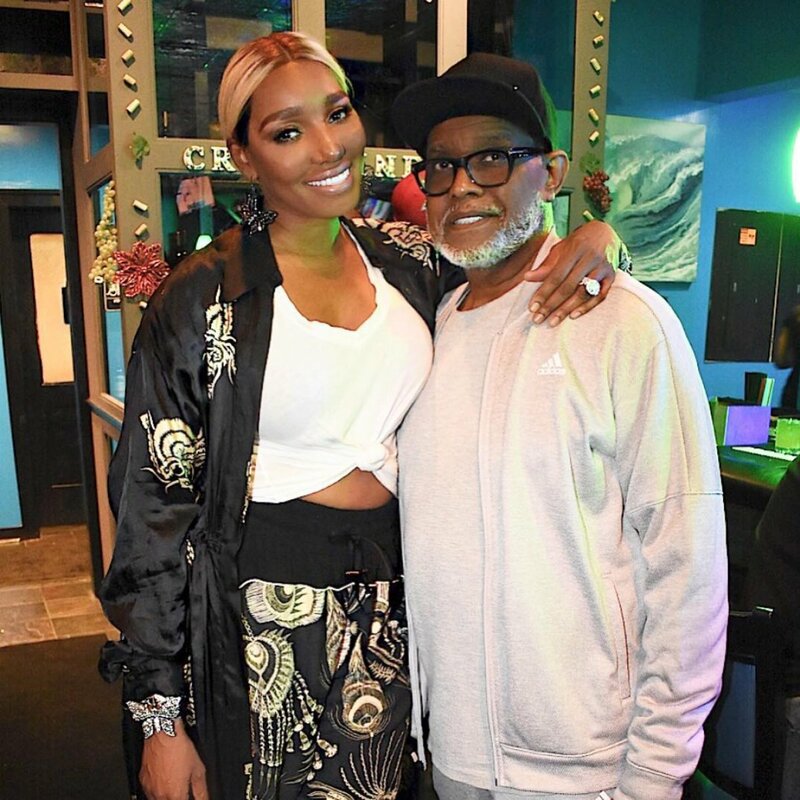 NeNe disclosed in June 2018 that Gregg had been diagnosed with cancer, according to Us Weekly, after canceling multiple comedy shows to be by his side in the hospital. Back in November 2018, NeNe opened up to the magazine about how Gregg's diagnosis of Stage 3 colon cancerwas affecting their relationship. "Honestly, it's a really tough time. Like, it's really hard, you know? I never knew that cancer could come into our lives and change it the way that it has," NeNe admitted. "It's been really hard for me, it really has. I mean, it's been like a roller coaster. There are days where we have good days and Gregg has good days, then we have bad days and, you know, I feel alone, he feels alone." NeNe said sleeping in different rooms was even a huge adjustment for the couple. "He sleeps downstairs; I sleep upstairs. Out of all the years we've ever been together, we've never done that before," NeNe said at the time. NeNe reportedly added, "I feel like the day they told me that he had cancer, I feel like I lost my husband. I prayed so many nights, 'Just please give me back my husband because I do not have a partner right now.' And you realize all the things that your partner really did." NeNe and Gregg tied the knot in 1997. They split in 2011 but later reconciled and remarried in 2013. The eleventh season of The Real Housewives of Atlanta is currently airing on Bravo.